Torah Club Commentary Sets are available only to FFOZ Friends or Torah Club members. If you are already a Torah Club member and enrolled as a Student in a local Torah Club, you can order these resources by calling toll-free 800-775-4807, or +1 417-468-2741. The greatest Jewish story ever told! 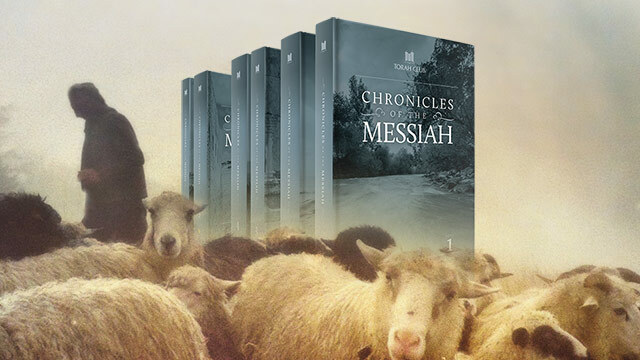 Chronicles of the Messiah opens the world of the Gospels and returns them to their natural habitat. This year-long Bible study provides a complete Messianic commentary on the Gospels, explaining his teachings in their Jewish context. To truly know Jesus, we must also know him as Yeshua the Jew, the Messiah, and the King of the Jews. Chronicles of the Messiah builds on that perspective to study the whole gospel story within the context of Judaism and the Jewish people of Jesus' day. This eye-opening tour through the life and teaching of Yeshua of Nazareth is a first-hand exercise in the school of discipleship—learning at the feet of the Master. Chronicles of the Messiah presents an extensive harmonized study of the Gospels from a Messianic Jewish perspective, published in a sturdy, hard cover edition of six books. 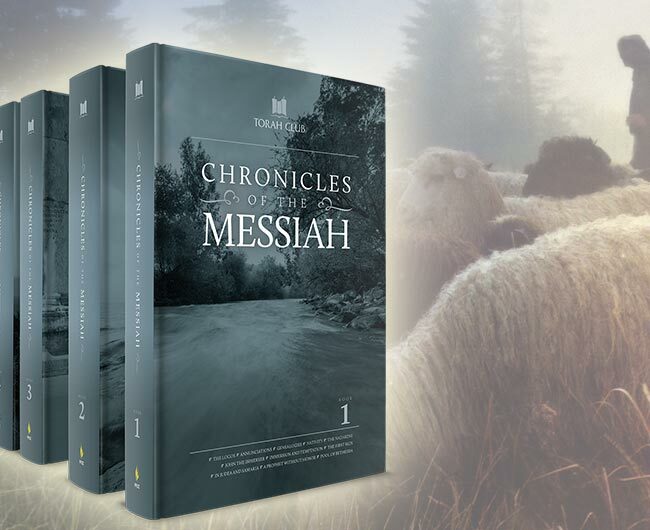 Chronicles of the Messiah takes students on a passage-by-passage study through the story of Messiah, reconciling all four Gospels accounts into one continuous narrative. This is an invaluable study source for every serious student of the Bible and everyone who wants to know Jesus better. This edition consists of six case-bound books, including the Appendices that supplement the main commentary. Book One tells the story of Yeshua from his conception through his immersion and early ministry before the arrest of John. Book Two tells the story of Yeshua’s early ministry around Lake Galilee from the calling of the disciples to the death of John. Book Three tells the story of growing crowds and mounting opposition as Yeshua teaches his disciples from the story of the feeding of five thousand to his last Chanukkah in Jerusalem. Book Four follows the story of Yeshua’s final six months, including the resurrection of Lazarus, the triumphal entry, and the last public teachings. Book Five tells the story of the Last Seder and the story of his arrest, trial, suffering, crucifixion, triumphant resurrection and ascension. The Appendices include critical indices necessary for navigating the other five books of the series, additional essays, charts, maps, tables, timeline, and glossary. 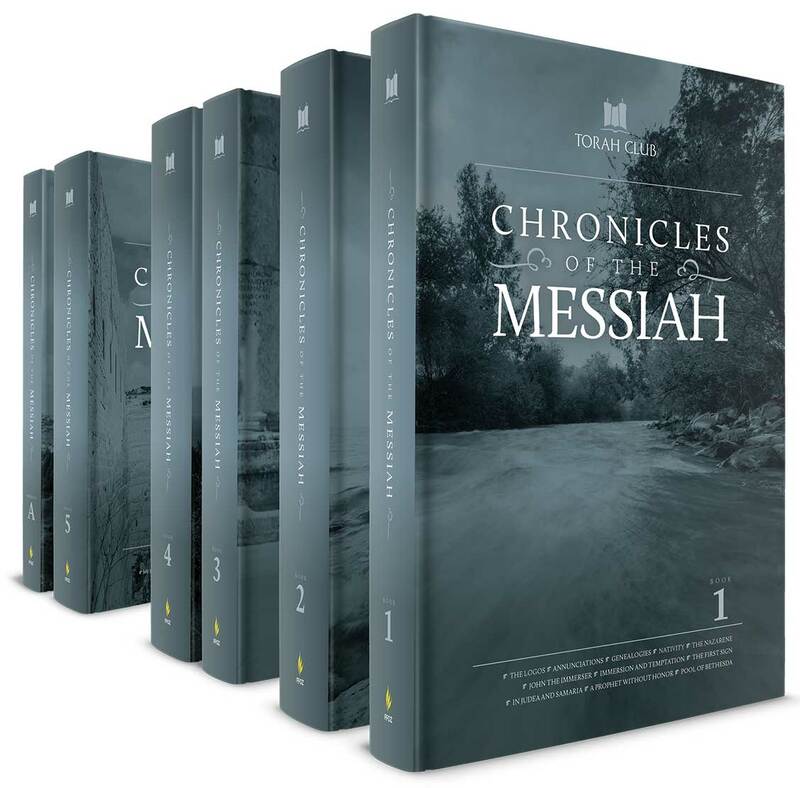 Chronicles of the Messiah Audio Commentary contains fifty-four audio chapters corresponding to the fifty-four chapters of Chronicles of the Messiah. This audio magazine supplement includes children's stories which narrate episodes from the life of the Master, further insights on the gospels from the nineteenth-century Rabbi Yechiel Tzvi Lichtenstein, and discussions about passages from lost Jewish gospels. Each audio chapter contains a Midrash on the pertinent gospel reading, a Torah Kids children's story from the life of the Master, and a discussion about lost gospel Fragments. Midrash: D. Thomas Lancaster sheds new insights on the life and teaching of Yeshua by presenting and explaining the previously untranslated Hebrew commentary of Rabbi Yechiel Tzvi Lichtenstein on the Gospels. Fragments: Toby Janicki examines non-canonical sayings of the Master and fragments from no-longer extant gospels like the Gospel of the Nazarenes, the Gospel of the Hebrews, and the Gospel of Ebionites. Torah Kids: Follow the adventures of Rabbi Yeshua of Nazareth and his twelve disciples over the course of fifty-four children's stories, all told from a Messianic Jewish perspective.